Charge your smartpfone & tablet at full speed with BC1.2 and simultaneously expand your laptop and desktop with 6 USB3.0 SuperSpeed ​​5Gbps ports and SF / TF card reader. 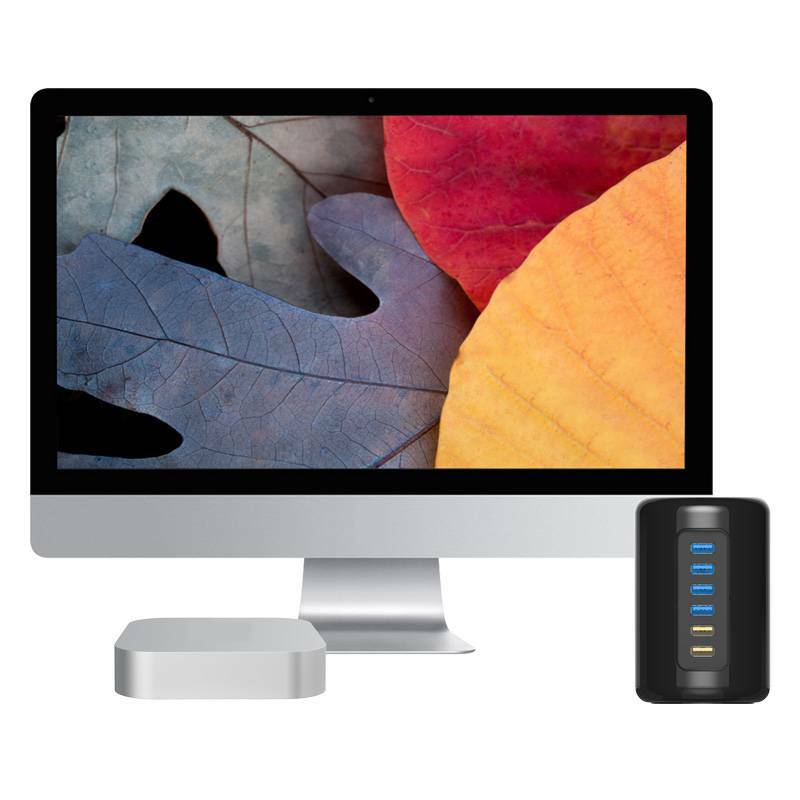 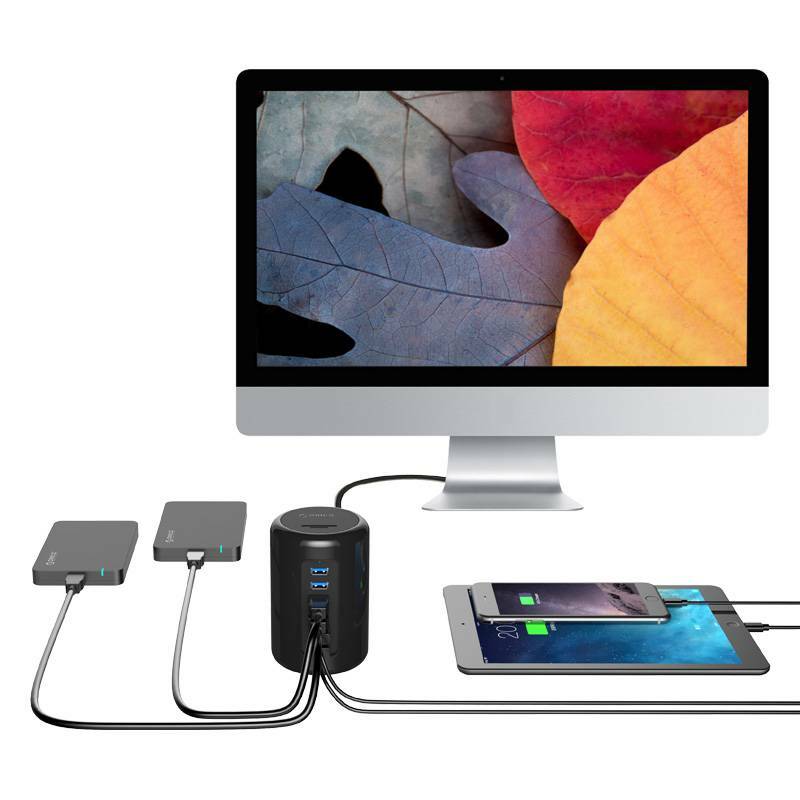 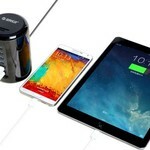 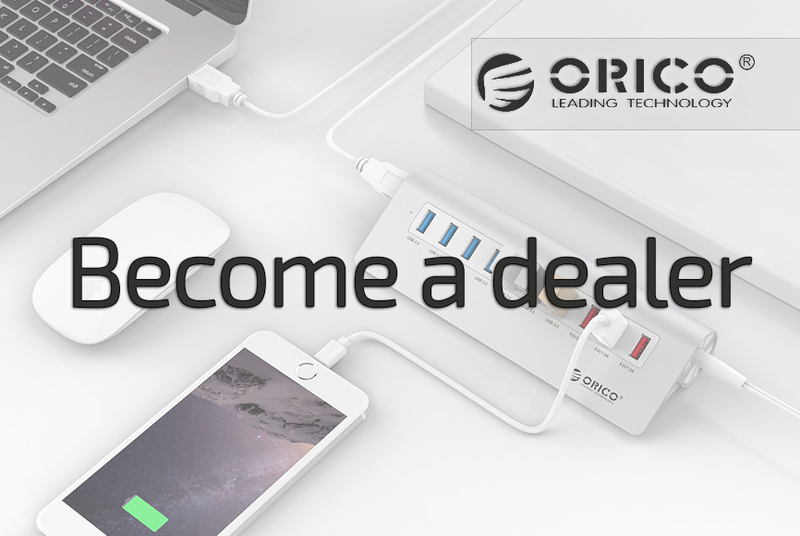 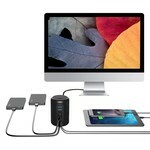 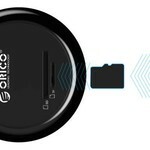 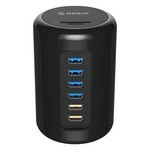 USB 3.0 tower and charger and card reader in one! 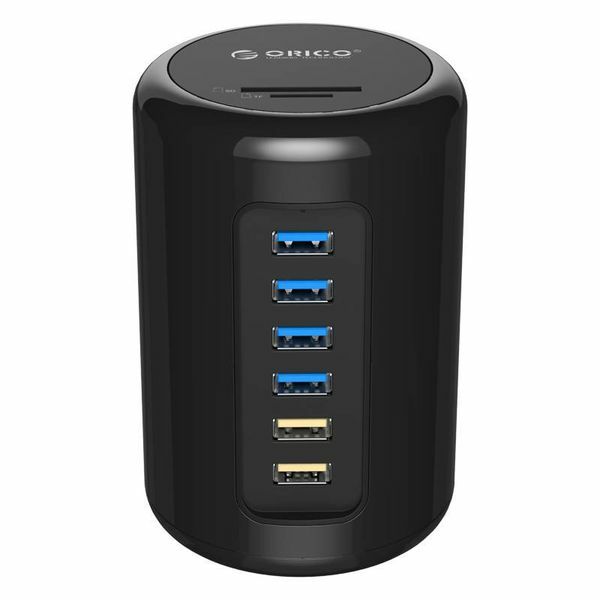 In addition to the USB3.0 and BC1.2 ports, the RH6CS also has a card reader for SF and TF format on the top. 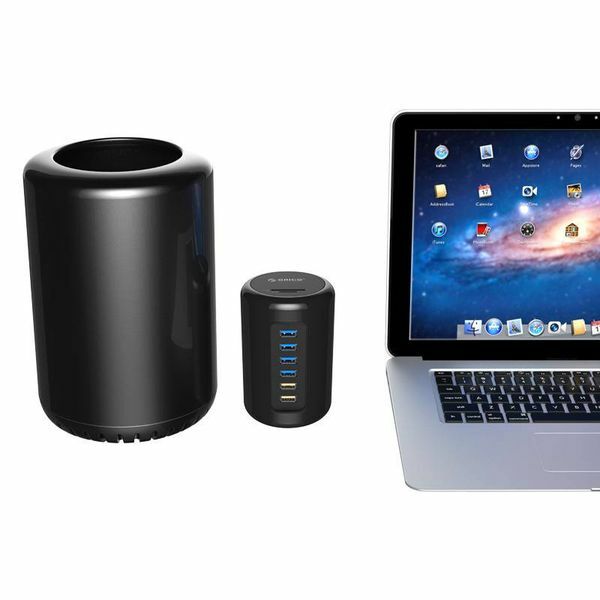 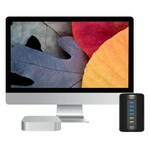 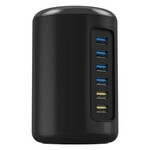 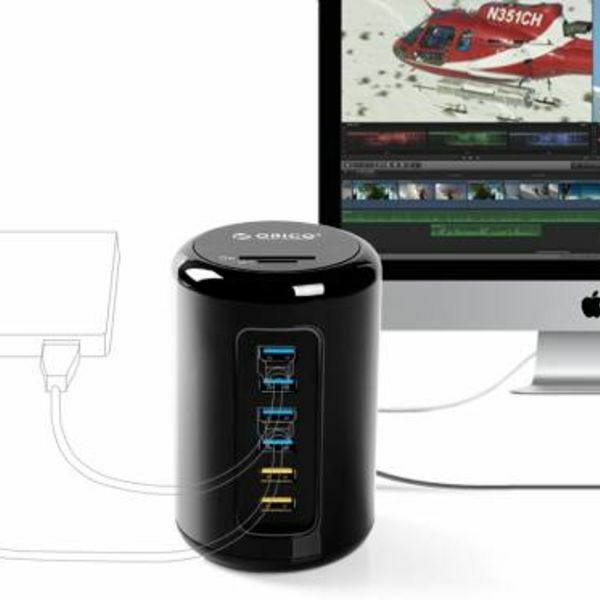 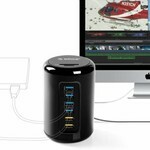 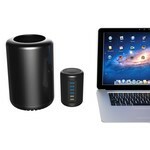 This 6 port USB Tower in Mac style is not only very powerful and beautiful, but also friendly to use. 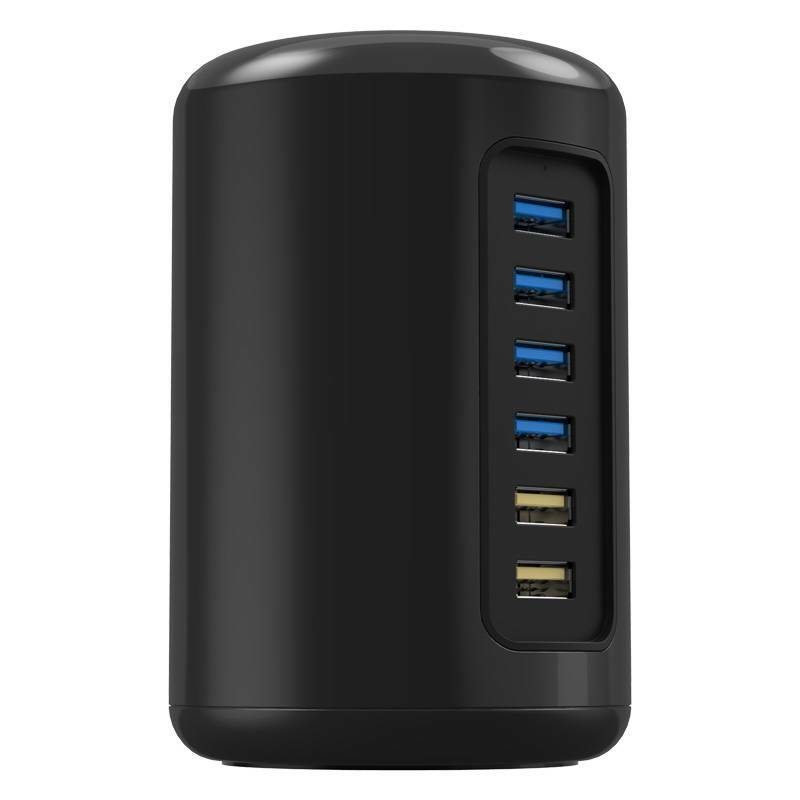 Because the 4 USB ports are positioned vertically, they are easy to plug in and out.